…The following information is not of interest to you. I apologize and give you this to read instead. I’m going to deviate away from the topic of law librarianship and let you all know that it is Seattle Beer Week! And in order to talk about something very near and dear to my heart, I had to find a way to make it relate to this blog…so here goes. 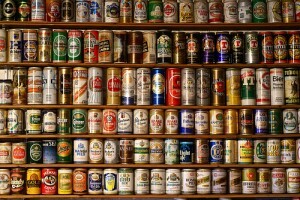 Did you know that beer has its own classification system? Before I went through the training to become a Certified Beer Judge in 2005, I thought of beer as either “tasty” or “not as tasty”. Never did it occur to me that a specific type of beer was SUPPOSED to taste like bacon. Or grass. Or green apple (I’m looking at you Bud Light). It was only after 16 weeks of beer drinking, or should I say “tasting”, that I realized that like every other science, beer has its own language and its own system of organization. Over the next week, a variety of venues in the Seattle area will be pouring up some of the best that breweries have to offer. This is our opportunity to get out and try something new. Check out a sour ale (tart and refreshing) or a dry hopped cider (from Finn River). And if you need to attach something “headier” to your tasting exploits, tell yourself that you are learning a new classification system in the name of professional development.